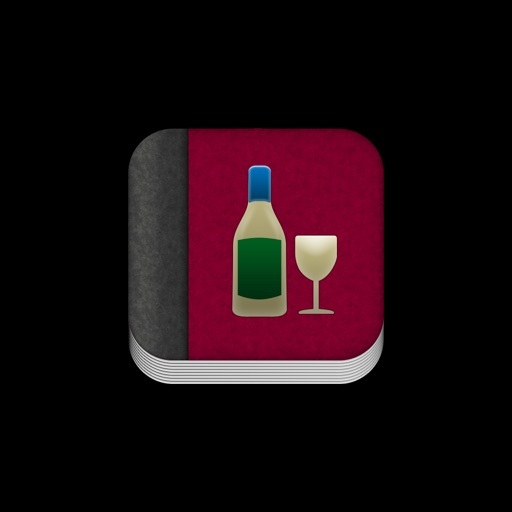 Wine Cellar is an application for the wine enthusiast. It is made to help both the amateur or the more experienced wine enthusiast. It helps to manage your wine bottles and also to collect information about bottles already tasted. 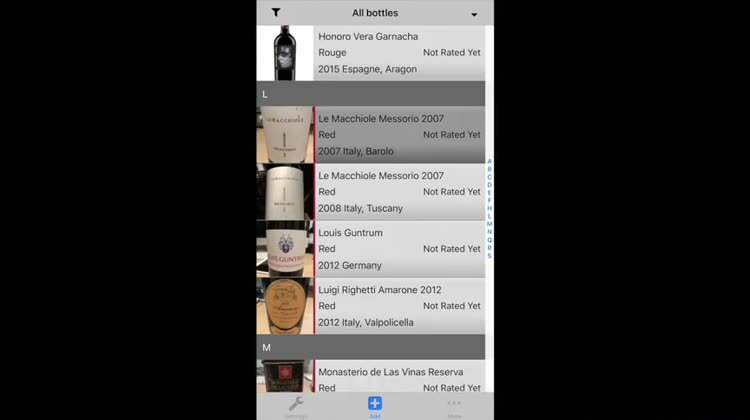 Wine Cellar HD for iPad is finally available on the App Store. 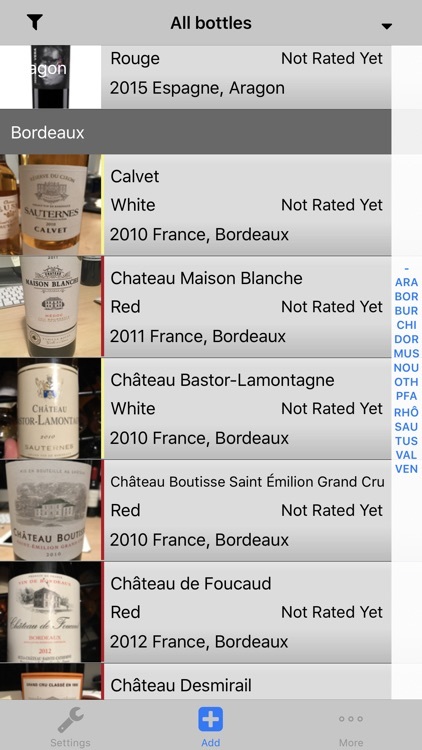 Look for 'Wine Cellar Import Pro' for a full Import/Export support or upgrade later with the In-App purchase. Wine Cellar is designed to be easy to use and learn. The interface is designed with Apple's user interface guidelines for simplicity and ease of use. It is intuitive and simple. Sync all your devices using iCloud. It is suggested to backup the cellar using one of the export techniques when using iCloud. 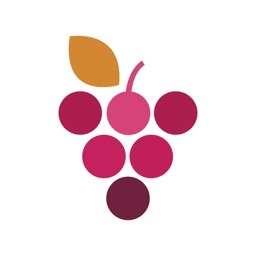 Thanks to all the feedback from users, of whom reported bugs or gave recommendations, Wine Cellar has been improving for over a year now and Wine Cellar will continue to improve with new features. The interface presents the wine cellar in an efficient manner. 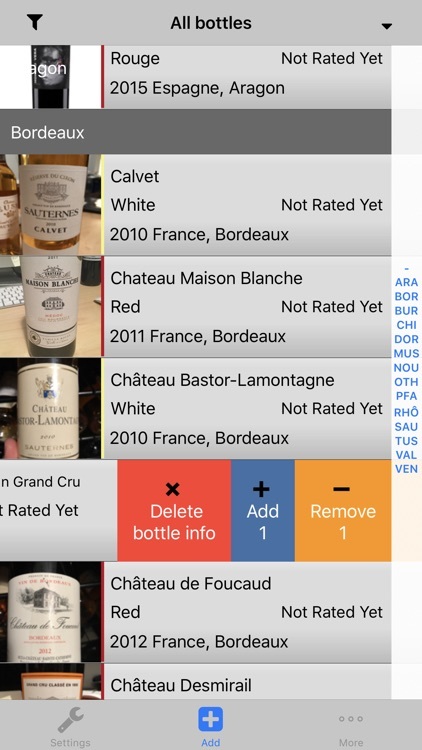 It is easy and fast to locate a bottle, search for keywords, or simply browse bottles by the grouping defined by the user. A favorite list of bottles provides an even quicker method to locate a bottle. -Using the integrated web server. 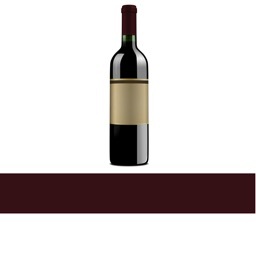 Use Companion or OpenOffice to edit and view your cellar on your computer. The main screen shows pictures and more details about each bottle. A more compact display of the main list is also available for a more streamlined look. 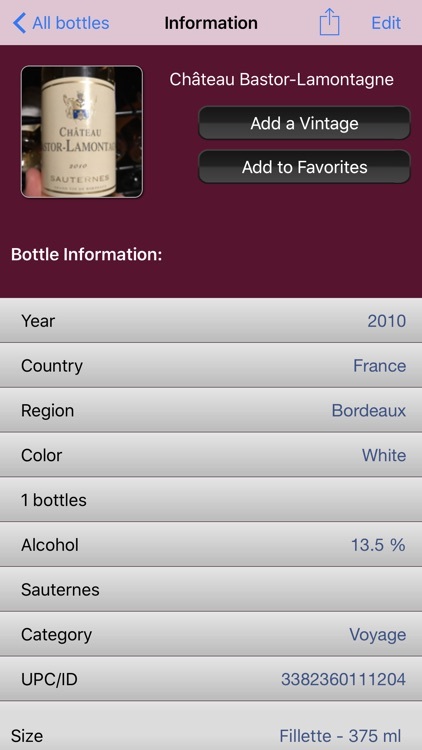 The preview area provides a quick overview showing more details about the selected bottle. 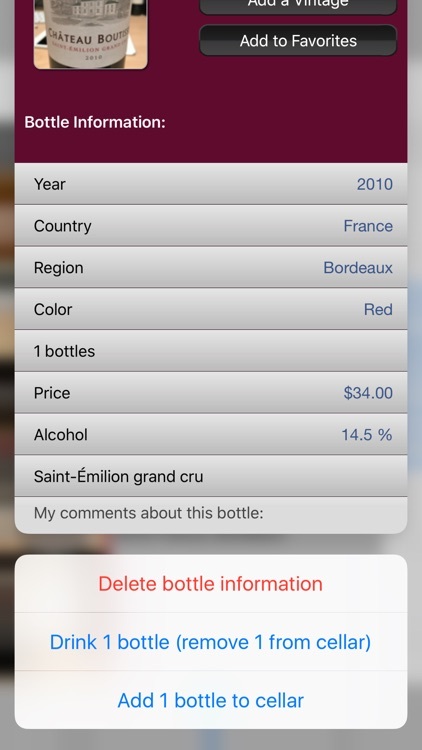 Add/remove a bottle in stock directly from the main screen with the simple sliding gesture across the area. For each bottle, you can add, remove or edit all characteristics. 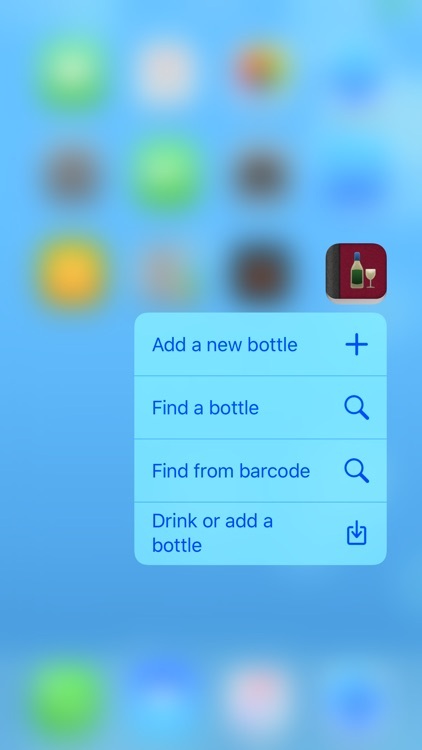 You can quickly add a new vintage from an existing bottle using the shortcut. 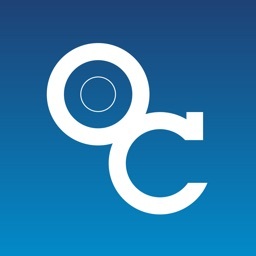 -Region, Country, Vintage, Rating (on a 5 star ranking system) and much more. You can fully configure what you want to be asked for when adding a bottle. Unneeded characteristics can simply be skipped, or removed from the wizard to allow a quick interaction with the software.